Interlaken. 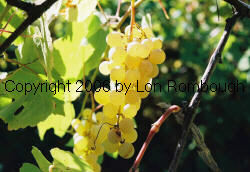 A sister seedling of Himrod (same parents) with seedless green to golden berries. 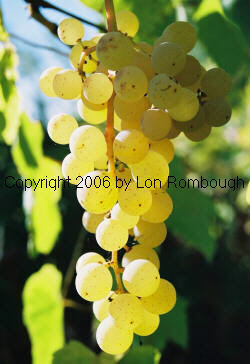 Less vigorous than Himrod, but ripens about a week earlier and is much more productive, up to 30 pounds per vine. 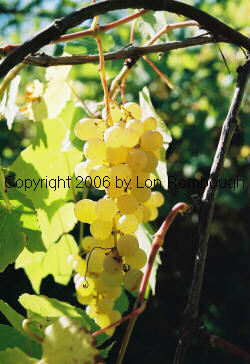 Good grape for cool climates or places with short seasons. Hardy to about -15oF. 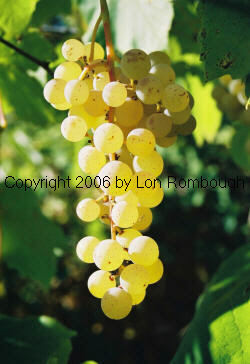 Berries are firm, develop good sugar around 22oBrix on well-filled to compact clusters. Interlaken is also the best variety I have tried for raisins and the berries make good frozen fruit. The vine produces well when trained to cordons with two or three bud spurs.